Welcome to Londonthemes where we promise to offer Premium WordPress Themes and Free Premium Web Graphics. LondonThemes has been created by Skyali as a Premium WordPress Theme site. Offering the best theme’s available to purchase. 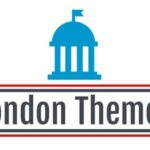 LondonThemes has also been opened to help other aspiring designers build website’s easily and quickly. The way I plan to accomplish this is by releasing multiple Graphics & WordPress Theme’s for free as well as for sale. I promise these Free products will be of the best quality I can produce without charging a cent. You can expect more WordPress Themes & Premium Free Graphics from me and my team. We’re very motivated to help other’s create great looking website’s. With 11 years of experience We know we are the best! LondonThemes consider’s majority of the theme’s that are regarded as “Premium WordPress Themes/ High Quality WordPress Themes” actually lack real graphic design. Rather more focused on features and plain design. I am here assure you guys the team’s main focus is on design and functionality. Not overloading our theme’s with feature’s and designs you’ve already seen millions of times. High demand features are included in the theme’s as well. They’re not considered a core part of LondonThemes focus. The main focus is only Creating inspired work, That will motivate buyer’s and visitors to create the best of the best website’s. There has already been 1 Premium Free WordPress Theme and 2 WordPress Theme’s Psd’s Added more content is on it’s way very soon. Thank you for visiting LondonThemes and we hope you enjoy the website.